It is important for teachers to develop teaching practices that work well in relation to content. Using technology just to use it, is ineffective. When teachers consider the design of their lesson and are choosing the correct tool of delivery, a more meaningful learning experience is created. It is important for teachers to appropriately incorporate technology into their pedagogical practice. Game based learning is a great way to get one's feet wet. 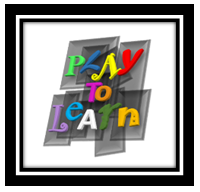 Teachers play a heavy role in the effectiveness of game based learning. Teachers need to understand their role as educators and facilitators in order to make a gaming experience more meaningful and accessible. Sitting a student in front of a computer to learn, does very little without guidance. Modeling, explaining, and guiding students is a more effective way to introduce information. For example, telling a student to log into i-Ready and start lessons is very vague. Students still need scaffolds in place, in order for them to understand the purpose, expectations, and procedures for accessing the program in meaningful ways. Following TPACK would mean that teachers should explain the intent of the program, help students navigate through it, monitor progress and engagement, set clear expectations, and make it part of a routine. This is also the issue of design. If games, content, and lessons are designed poorly, student learning outcomes will not be as strong. The question that needs to be asked is, "are you using the right tool for the job? and What are the pedagogical strategies that support the learning?" The three domains in TPACK work together to create a way to integrate technology into lessons. With a missing piece, the lesson would not be as strong and it could fail to convey the correct message. The three domains work together to increase motivation and ease of access for students. It is important to note that technology is meant to be used as a partner, it should not drive instruction. The technology chosen needs to fit with the content being taught, if you are set on using a specific tool and it doesn't fit, your technology is driving the lesson. This should be avoided. The whole goal of to pack is to help you MEET STUDENTS NEEDS! TPACK is important in my research because my research is evaluating a technology based program. The program uses technology as its vessel, and is therefore applicable to TPACK. The delivery method used for i-Ready was primarily interactive games, audio, and tutorials. It does not include a variety of technologies through its lesson, and it mostly works for the aim of the program. There are other technologies that would deliver content more effectively which means TPACK was not fully considered or their options were limited. In the case of computer based learning programs, it is important that the vessel of delivery makes sense with the content or student can become disengaged, miss the message, or struggle to understand content. A prime example of an effective TPACK lesson could be a lesson on perimeter. In Common Core, students are challenged to look at real life situations and applications. It is one thing to read about it on a screen or hear a verbal explanation. and another to see it in an applicable context. A poor TPACK lesson on this topic would include a quick animation video, some text about the objective, a guided practice with how to solve the problem, then an assessment that tests on your ability to look at an image and add or multiple numbers. This would not get a message across; it is poorly designed. A good TPACK lesson would perhaps use a real life video clip where this skill would be needed. Then show a person recreating the problem to look like a simple diagram. Then the specific skill would be introduced, and modeled. A structured guided practice would allow the student to measure each side, and slowly move into the protocol for solveing the problem. In Common Core fashion, students need to know multiple ways to solve a problem and think critically. This could be accomplished through many different avenues as long as the tools selected fit the purpose. Many learning programs seem to hold the belief that a program is engaging just because it is on a compter, or uses a tech tool; This is not the case. Lessons objectives need to be clear and the tech tools used need to make sense with the ultimate goal of the lesson. Programs like i-Ready, could do a much more effective job, if more tech tools were chosen that more appropriately convey learning objectives.